iEagle books, cheap flights from the United States to major international airports around the world. If you are looking to travel to top destinations across the globe, click the links below to find cheap flight tickets from USA to leading city airports in China, Mexico, Canada, UAE, Philippines, Bangkok, Turkey, Oman, Qatar, South Korea, Singapore, United Kingdom and other European countries. You can also search and grab cheap airfare deals for last minute flights from USA to the airports listed below. Several international airlines from the United States operate cheap flights to top Middle East airports, European airports, Philippine airports, Chinese airports, Thai airports, South Korean airports, Indian airports, Australian airports, and Canadian as well as Mexican airports. iEagle issues cheap airline tickets for flights from USA to the airports of major destinations including Beijing, Bangkok, Manila, Seoul, Singapore, Sydney, Doha, Dubai, Abu Dhabi, Hong Kong, Istanbul, Muscat, Amman, Mumbai, New Delhi, Kuala Lumpur, Sir Lanka, etc. iEagle works with major international airlines and book their cheap flight tickets to the world’s leading city airports for both economy class as well as business class travel. Our network of air travel partners includes Air China, United Airlines, Korean Air, Cathay Pacific Airways, Etihad Airways, Singapore Airlines, Qatar Airways, Delta Air Lines and Philippine Airlines, which operate cheap flights from USA to the airports below. Looking for cheap last minute flights to these airports from USA? Turn to iEagle.com. 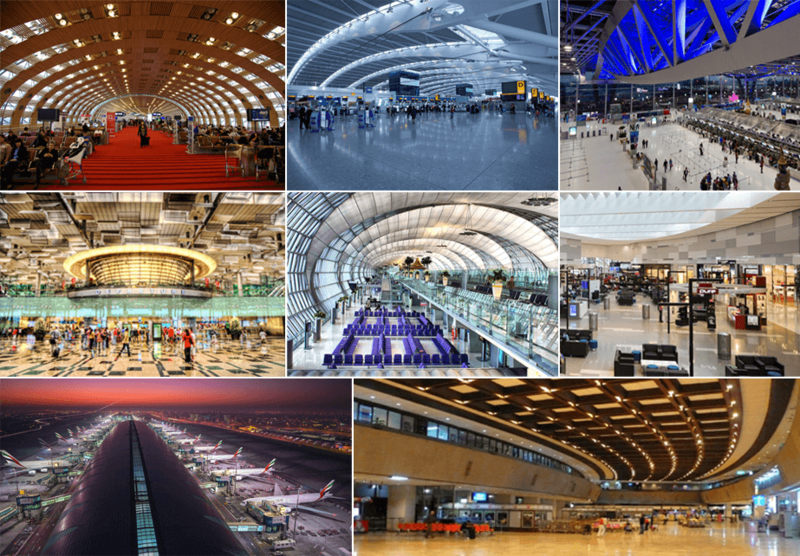 Only at iEagle, you can save on last minute airline tickets to Beijing airport, Manila airport, Dubai airport, Doha airport, Abu Dhabi airport, Seoul airport, Singapore airport, Sydney airport, Bangkok airport, Istanbul airport, Phuket airport, Cebu airport, Hong Kong, London Heathrow airport, New Delhi airport and others. Sign up to receive iEagle’s email alerts on discount airfares on flights to any international airport in the world.